Zoom H5 vs Zoom H6 for Podcasting: Which to Choose? Zoom H5 vs Zoom H6 as a Podcast Digital Recorder: Which to Choose? As mentioned in the introduction to this series, we’re looking to cover the gold standard kit for recording face to face audio. This may be in co-hosting a podcast, or it may be in recording interviews. Whatever your context, if you’re recording in-person conversations (as opposed to Skype or similar) this is for you. If you don’t care about the explanation and just want the shopping list, you can skip forward to it here: Full Podcast Equipment List for In Person Recording. But, if you want the detail, in this section we’re covering the central component, the digital recorder. In particular we’re looking at the premium ones I recommend, the Zoom H5 and the Zoom H6, two of the best digital recorders for podcasting out there. 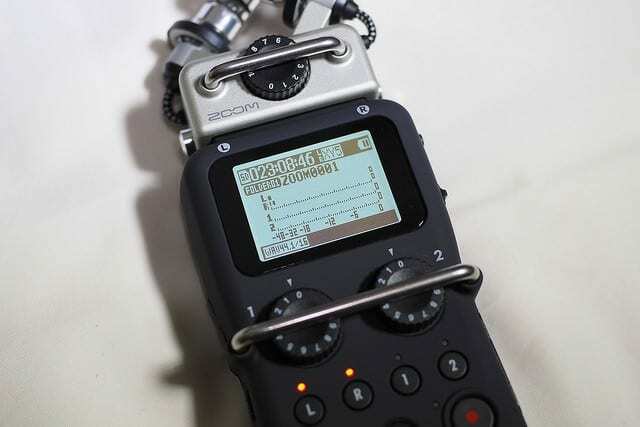 If you’ve found this article in the search for a more budget level recorder, you can check out my full digital recorders guide here. But, if you want the best equipment, read on. So, this is the heart of the setup. The digital recorder captures the input from your microphones and turns it into a file you can work with. The type of recorder you use has a big effect on the control you have over your input, and therefore the eventual quality of your audio. Why Spend Extra on the Zoom H5? In the budget interview setup I’ve covered before, we used a Zoom H1, which is a good little recorder, but with only one input. That means you can’t balance out the volumes of your two (or more) speakers as they’re all coming into the one input via a splitter. If your interviewee is loud and you’re quiet, that’ll show up heavily in the recording, and you’ll have to spend some production time levelling it out. In this situation, it’s far better to make sure your input is even during intial recording, capturing the best source quality right from the get-go. To do this means having at least 2 microphone inputs with separate level control. My recorder of choice, and this is personal of course, but I’ve seen agreement from many, is the Zoom H5. I worked with the Zoom H4n for years, but recently upgraded to the H5. The main reasons for that were the highly upgraded preamps and the fact you can use the interchangeable heads that were designed originally for the H6. To cover the first, the pre-amps in the Zoom H5 are far superior to the H4n. This was the one complaint made against the otherwise great little recorder. The preamps themselves didn’t rule the H4n out, it still produced excellent audio, but it was always a little difficult when working with gain hungry microphones like the SM58. As you boost the gain, bringing the SM58 up to a decent level, the base hiss tended to sneak upwards too, and it just caused a little trouble in some contexts. With the H5, the SM58 is much more effectively powered, though, and you’ll get a great sound without the sneaky hiss. Next, I mentioned the interchangeable heads. This was an amazing addition to the Zoom arsenal when the H6 was released. Audio junkies were jazzing over the images of the H6 with 5 add-ons all plugged in in series, giving you 10 extra XLR inputs. Plus, the shotgun microphone addons now make it a brilliant device for use with your DSLR when filming. Basically what this boils down to is the fact that you can record 2 people, easily, using the default XLR sockets. But if you need to record 4 people from time to time, you can plug in an add-on and do that on separate channels, still in XLR. This is great news because it means you can still have full control over each channel, even with 4 speakers. You can control levels, and keep them separate for really powerful post production. Why Upgrade to the Zoom H6? So, we’ve covered the Zoom H5. The only dilemma here is whether you should upgrade to the Zoom H6 for another £80 or so. If you want more fancy onboard editing, and the flexibility of recording 6 separate tracks, then perhaps the answer is yes. For the first, I have to admit, I’ve never really used the more advanced on-board editing functions on any recorder I’ve used. I tend to get the settings how I like them, and then do little more than hit record when I’m in the field. Any editing I do is after the file is safely downloaded to the computer and into Audition. So, to me, the on-board editing functions aren’t really a draw, and I’ve not met many podcasters for whom they are. I suspect this is more a feature for the pro journalists out there who have to edit much more on the fly to work within really tight deadlines. If that sounds like something you might have to do, then perhaps the H6 is for you. For the second, the 6 track recording, this is one that could be more relevant to Podcasters. 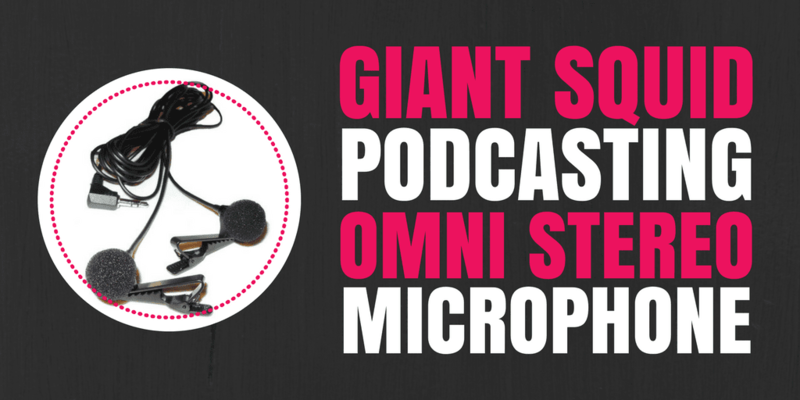 I mentioned in the series introduction that I’m working with more businesses on podcasting, and more people looking to expand away from simple Skype conversations. In many instances, this involves taking advantage of events, or gatherings, and capturing some really compelling multiple voice recordings. The H6 makes this a breeze, and offer a lot of power besides. You can record 6 people with the H6, all on separate tracks. This means detailed level control, and the option for really refined post production on everyone’s voice individually. If you care about quality, and you record groups of people in the studio or at events, the H6 gives you all the flexibility you need. You can even add more XLR inputs, as I’ve mentioned, recording 8 or 10 mics at once. But, to be honest, you might be struggling with control at that stage anyway, so perhaps that’s a bit overkill! Should I Choose the Zoom H5 or Zoom H6? I think the answer to this question comes down to one factor: will you be recording more than 2 people on a regular basis, sometimes more than 4, and do you want fine grained control over every voice? If yes, get the H6. If no, you’ll rarely be doing more than 2, somtimes 3 or 4, then the Zoom H5 will do the job nicely. 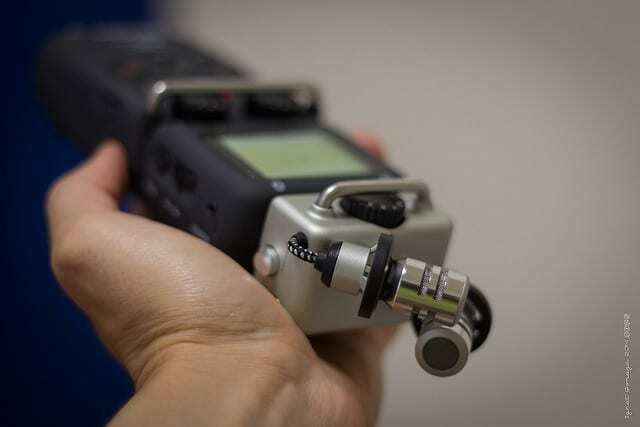 So, that’s the recorder – choose your weapon, the Zoom H5 as a Podcast recorder, or the Zoom H6 for podcasting. I hope I’ve given you enough info to make the decision. Next stop, it’s what provides the signal to the recorder in the first place, the microphone. Let’s look at why I use Shure SM58s for face to face podcast interviews or co-hosting. I’ve been reading your articles on gear for the past few days. All great info and I really appreciate learning about the gear differences and features. I am struggling to understand why I need a mixer if I have a H5 or H6 and do not need more inputs. 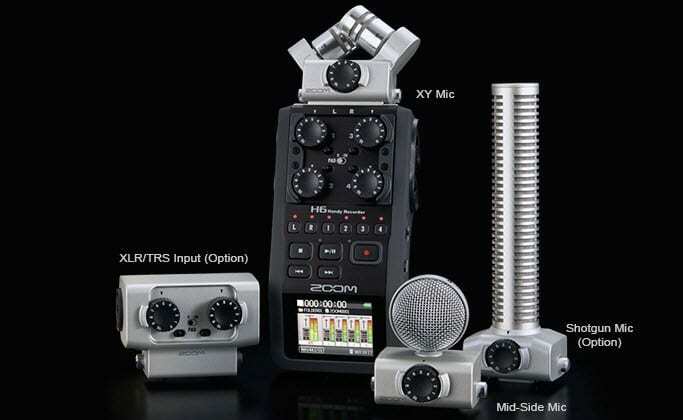 It seems most of the reasons why to get a mixer are offered through one of the recorders. I understand the aux send function is not available with a recorder, but is there any other reason why I would want to add a mixer with a h5 or h6? Thanks! Hi Brian, you don’t need a mixer no, you’ll be totally fine with an H5 or H6. A mixer is just handy for greater control over individual channels when recording (doing fade ins, fade outs, adjusting EQ, compression etc). i am planning to purchase zoom H6, i also work in studios, Does it work with Nuendo ar Protools as an audio interface.i have two mics SM58 and AKG414 condenser mics. I’d say it *should* Shankar, I’ve not used Pro Tools for a couple of years though and I know it can be problematic getting it to recognise non-Avid devices. Hi Colin, I’ve been reading your tips here and listening to your podcast — both really helpful, thank you! In one of your podcasts you strongly recommend using studio monitor headphones and I’m totally onboard. I’m also sold on the idea of a Zoom H5 for podcasting, in part because I can also use it for location interviews for a documentary I’m planning. But in the studio, if you’re using an H5 to record a podcast with two people, can you simply attach a headphone jack splitter so that both participants can wear headphones? Are there any downsides to this approach (e.g. the lack of individual volume control). What if you add a third person with a third mic and set of headphones? I guess I’m trying to avoid getting a mixer as well, but hope I won’t run into a problem there. Hi Tony, you can use the ‘Line Out’ port on the H5 as a headphone port too, so you can connect 2 pairs of headphones, or – as you say – use a splitter. Either will work fine. You’re right about the individual volume control though. You can get a little headphone amp like this one https://www.amazon.co.uk/Behringer-HA400-Microamp-Headphone-Amplifier/dp/B000KIPT30/ref=sr_1_3?ie=UTF8&qid=1476183900&sr=8-3&keywords=headphone+amplifier which will give you 4 headphone ports with individual volume control, if that’s what you’d prefer.